The present study was conducted to explore the farmer’s perception regarding constraints faced in adoption of dairy farming practices in Sindh province of Pakistan. The data were collected from 133 project dairy farmers of Pakistan Dairy Development Company (PDDC) and 133 non-PDDC dairy farmers. The constraints were measured with three-point continuum scale. 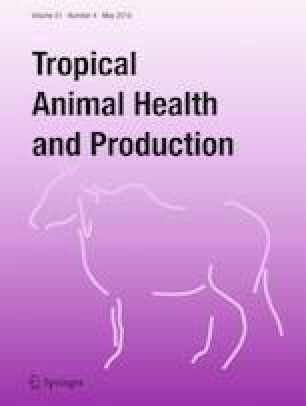 The survey results revealed that on overall basis, technical, financial, and physical constraints, viz., poor conception rate of artificial insemination (AI) in buffaloes, high price of concentrates, high cost of treatment, etc. received higher scores for both groups (PDDC and non-PDDC farmers). In contrast, overall mean scores were relatively low for knowledge (lack of knowledge about proper time of AI/natural service, heat detection, disease control, scientific housing, clean milk production), skills (lack of technical skills regarding fodder conservation and preparation of balanced ration), and lack of financial support by government, etc. ; recorded as severe constraints with higher scores for non-PDDC farmers as compared to PDDC farmers. These results indicate that augmenting extension services through PDDC on training and technical know-how is essential to overcome constraints of adoption by farmers who never adopted the practices, while technical, financial, and physical support to farmers are critical for a wider scale, sustained adoption of livestock practices. This study is the self funded and part of PhD dissertation of the first author. However, many thanks are extended to the supervisory committee for their guidance and technical support throughout the study.